We don't want your arms or legs, just your tows. Beach Towing of Huntington Beach has been servicing Orange County for over 30 years. Our Towing company offers the best rates and service, along with years of experience. If your car or truck is broken down and undrivable, we will tow it for free to be fixed at one of our designated auto repair shops. 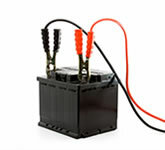 We can help you with battery repalcement and battery charging. 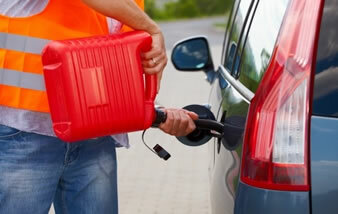 We offer full roadside assistance - lockout service, jump starting, gasoline delivery if you run our of fuel and tow service calls. We offer our towing services throughout Huntington Beach, Midway City, Westminster, Garden Grove, Stanton, Orange, Costa Mesa, Fountain Valley, Irvine, Newport Beach, Seal Beach, Sunset Beach, Anaheim, Santa Ana, Cerritos, Cypress and all of Orange County, CA. Call Beach Towing today at 800-906-ITOW(4869) or 800-906-4869 you can also call us at 714-964-8649. Beach Towing & Roadside Service serves all of Orange County, CA. Licensed, Bonded, & Towing & Roadside Service. © Copyright Beach Towing & Roadside Service. All Rights Reserved. Website Design by Beach Towing & Roadside Service.